Comet C/2014 Q1 Panstarrs is slowly coming out of transit from the sun this month to grace the skies for Southern Hemisphere observers. 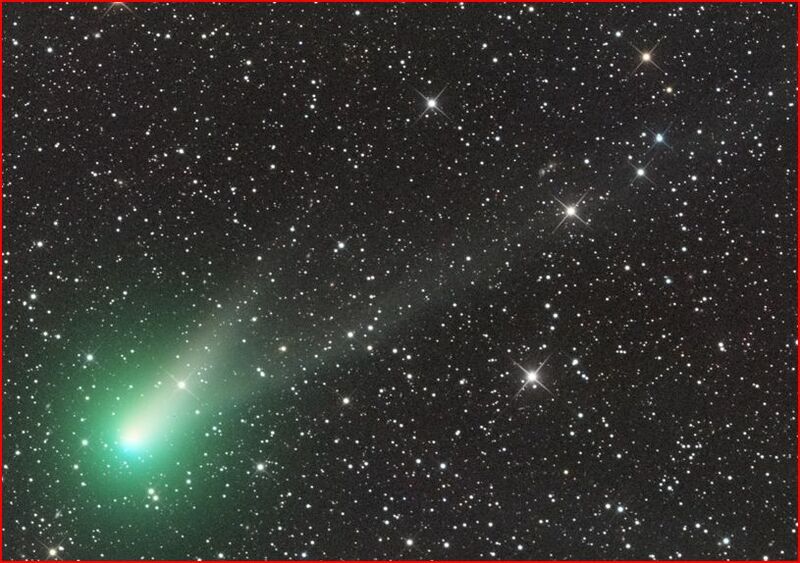 Observations currently place the comet at 4th visual magnitude, well within naked eye visibility. However, this may or may not rapidly decline in the coming weeks. 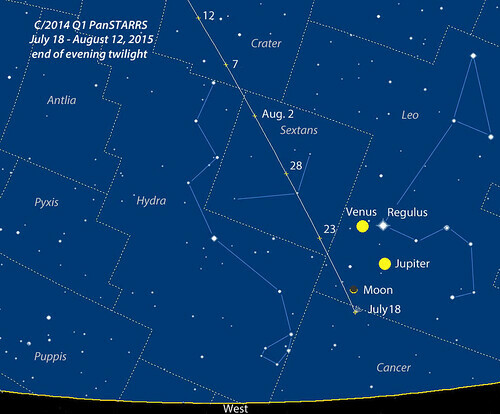 Northern hemisphere observers will have to wait a while longer before it becomes visible from the end of the month. Even then, it will be placed at a difficult elongation for viewing. The comets path moves along the evening horizon as the summer days go by.